The Bakerian Medal is one of the premier medals of the Royal Society that recognizes exceptional and outstanding science. It comes with a medal award and a prize lecture. The medalist will be required to give a lecture on any topic related to physical sciences. It is awarded annually to individuals in the field of physical sciences, including computer science. 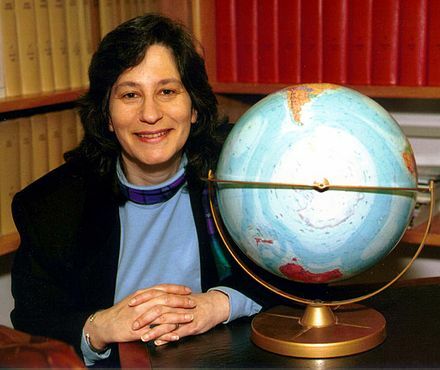 Susan Solomon for her contributions in atmospheric science especially on polar ozone depletion. 2017 Andrew Hopper for his work in computer networking and sentient computing systems 2016 Andrea Ghez The monster at the heart of our galaxy 2015 John Ellis, The Long Road to the Higgs Boson - and Beyond 2014 Lynn Gladden It’s magnetic resonance – but not as you know it  2013 David Leigh, Making the tiniest machines  2012 Peter Edwards, Metals and the conducting and superconducting states of matter 2011 Herbert Huppert, Carbon storage: caught between a rock and climate change 2010 Donal Bradley, Plastic electronics: their science and applications 2009 James Murray, Mathematics in the real world: From brain tumours to saving marriages. 2008 Robin Clark, Raman microscopy, pigments and the arts/science interface 2007 Joseph Silk, The dark side of the Universe 2006 Athene Donald, The mesoscopic world - from plastic bags to brain disease - structural similarities in physics 2005 John Pendry, Negative refraction, the perfect lens and metamaterials 2004 Michael Pepper, Semiconductor nanostructures and new quantum effects 2003 Christopher Dobson, Protein folding and misfolding: from theory to therapy 2002 Arnold Wolfendale, Cosmic rays: what are they and where do they come from? 2001 David Sherrington, Magnets, microchips, memories and markets: statistical physics of complex systems. John Henry Poynting & Guy Barlow, The Pressure of Light against the Source: the Recoil from Light. 1909 Joseph Larmor, On the Statistical and Thermo-dynamical Relations of Radiant Energy. 1908 Charles Herbert Lees, The Effects of Temperature and Pressure on the Thermal Conductivities of Solids. 1907 Thomas Edward Thorpe, The Atomic Weight of Radium. 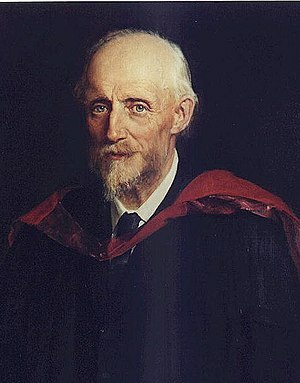 1906 John Milne, Recent Advances in Seismology. 1905 Horace Tabberer Brown, The Reception and Utilization of Energy by the Green Leaf. 1904 Ernest Rutherford, The Succession of Changes in Radio-active Bodies. 1903 Charles Thomas Heycock & F. H. Neville, On the Constitution of the Copper-tin Series of Alloys. 1902 Lord Rayleigh, On the Law of the Pressure of Gases between 75 and 150 Millimetres of Mercury. 1901 James Dewar, The Nadir of Temperature and Allied Problems. 1900 William Augustus Tilden, On the Specific Heat of Metals and the Relation of Specific Heat to Atomic Weight. Humphry Davy (?) 1810 Humphry Davy, On some of the Combinations of Oxymuriatic Gas and Oxygen, and on the Chemical Relations of these Principles to Inflammable Bodies. 1809 Humphry Davy, On some new Electro-Chemical Researches, on various objects, particularly the Metallic Bodies from the Alkalies and Earths; and on some Combinations of Hydrogen. 1808 Humphry Davy, An Account of some new Analytical Researches on the Nature of certain Bodies, particularly the Alkalies, Phosphorus, Sulphur, Carbonaceous Matters, and the Acids hitherto undecompounded; with some general Observations on Chemical Theory. 1807 Humphry Davy, On some new Phenomena of Chemical Changes produced by Electricity, particularly the Decomposition of the fixed Alkalies, and the Exhibition of the new Substances, which constitute their Bases. 1806 Humphry Davy, On some Chemical Agencies of Electricity. 1805 William Hyde Wollaston, On the Force of Percussion. 1804 Samuel Vince, Observations on the Hypotheses which have been assumed to account for the cause of Gravitation from Mechanical Principles. 1803 Thomas Young, Experiments and Calculations relative to Physical Optics. 1802 William Hyde Wollaston, Observations on the Quantity of Horizontal Refraction; with Method of measuring the Dip at Sea. 1801 Thomas Young, On the Theory of Light and Colours. 1800 Thomas Young, On the Mechanism of the Eye. Samuel Vince (?) 1794 Samuel Vince, Observations on the Theory of the Motion and Resistance of Fluids; with a Description of the Construction of Experiments, in order to obtain some fundamental Principles. 1793 George Fordyce, An Account of a New Pendulum. 1792 Tiberius Cavallo, An Account of the Discoveries concerning Muscular Motion, which have been lately made, and are commonly known by the name of Animal Electricity. 1791 Tiberius Cavallo, On the Method of Measuring Distances by means of Telescopes furnished with Micrometers. 1790 Tiberius Cavallo, A Description of a new Pyrometer. 1789 Tiberius Cavallo, Magnetical Experiments and Observations. 1788 Tiberius Cavallo, On an Improvement in the Blow Pipe. 1787 Tiberius Cavallo, Of the Methods of manifesting the Presence, and ascertaining the Quality, of small Quantities of Natural or Artificial Electricity. 1786 Tiberius Cavallo, Magnetical Experiments and Observations. 1785 Tiberius Cavallo, Magnetical Experiments and Observations. 1784 Tiberius Cavallo, An Account of some Experiments made with the new improved Air Pump. 1783 Tiberius Cavallo, Description of an improved Air Pump. 1782 Tiberius Cavallo, An Account of some Experiments relating to the Property of Common and Inflammable Airs of pervading the Pores of Paper. 1781 Tiberius Cavallo, An Account of some Thermometrical Experiments. 1780 Tiberius Cavallo, Thermometrical Experiments and Observations. 1779 John Ingen-Housz, Improvements in Electricity. 1778 John Ingen-Housz, Electrical Experiments to explain how far the Phenomena of the Electrophorus may be accounted for by Dr Franklins Theory of Positive and Negative Electricity. 1777 Peter Woulfe 1776 Peter Woulfe 1775 Peter Woulfe, Experiments made in order to ascertain the nature of some Mineral Substances, and in particular to see how far the Acids of Sea-Salt and of Vitriol contribute to Mineralize Metallic and other Substances. ^ "Premier Medals of the Royal Society, UK". ^ "Bakerian Medal". ^ " Bakerian Lecture n- Royal Society". Royal Scociety. Retrieved 12 September 2013. ^ " Bakerian Lecture n- Royal Society". Royal Scociety. Retrieved 12 September 2013. ^ http://royalsociety.org/events/2012/metals/ ^ http://royalsociety.org/events/Bakerian2011/ ^ http://royalsociety.org/Event_WF.aspx?pageid=4294970019&terms=bakerian ^ "Bakerian Lecture: On the Relations between the Viscosity (Internal Friction) of Liquids and Their Chemical Nature": 148–159. JSTOR 115457. Retrieved 8 July 2013.